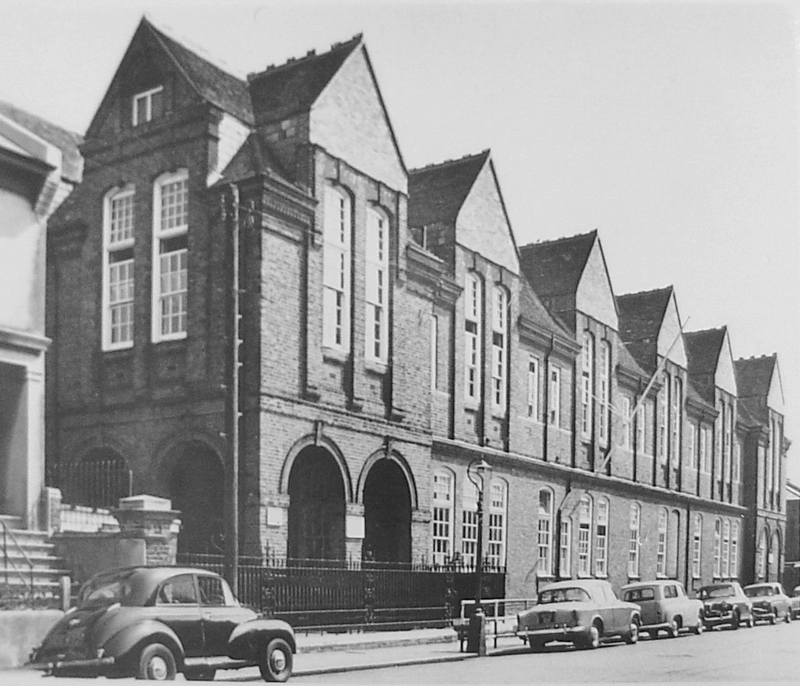 The school became Goldstone Junior School in 1956 and the site was closed in 1974 and the school moved to new buildings in Laburnum Avenue, Hove. 4th car from the left is a red Riley 1.5 that belonged to the one and only Mr Spain. He used to love back spinning tennis balls so they would come back to him, or throwing them at you if you weren’t paying attention, his classroom was right opposite where his car is. He used to bring Yo-Yo and taxi biscuits in to sell to us. I remember the YoYos he used to sell. But I have to take issue with your memory – that car was black, not red, and his drive to school took him along Newtown Road, where I used to live. He took pleasure in telling the rest of the class that he’d seen me walking to school on days when I was late. I saw a (partial?) solar eclipse from under those arches. I remember Mr Spain making a remark about the rag and bone man having indigestion: ‘too much cabbage for breakfast’ or something. I had to go for extra lessons after school at Mr Spain’s house, he lived just up the road from me – we lived at 12 Nevill Avenue and I think he lived at No 44. The blue and white Hillman between the Humber and the Riley belonged to Mr. Mitchell, who taught 4B. The two cars directly in front of the Riley 1.5 are both Hillmans. Good call, Mick. Quite right. Mr. Mitchell’s car was the blue and white Hillman Husky between the Riley 1.5 and the Hillman Minx. I thought Mitchell’s car was one of those beetle-shaped Saabs. Me and Christopher Monk let his tyres down. God, whose car was it, then? Mr Mitchell did have a Saab – a grey one. I am sure he still had it years later when we went to the Nevill. Fond memories of Mr Mitchell teaching us to sing ‘Lets go fly a kite’ with him standing there conducting. The car directly behind the Riley looks as if it might be a Standard 8 or 10.